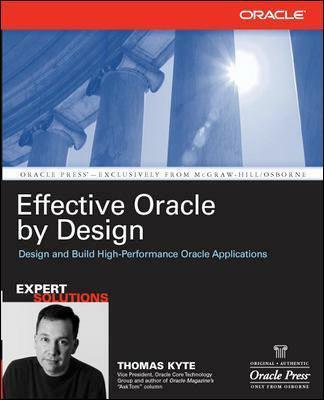 Tom Kyte of Oracle Magazine's "Ask Tom" column has written the definitive guide to designing and building high-performance, scalable Oracle applications. The book covers schema design, SQL and PL/SQL, tables and indexes, and much more. From the exclusive publisher of Oracle Press books, this is a must-have resource for all Oracle developers and DBAs. Thomas Kyte (Leesburg, VA) is among the most knowledgeable Oracle professionals in the world. He is Vice President in the Oracle Government, Education, and Health group and is the "Tom" behind the Ask Tom column in Oracle Magazine and the online forum at http://asktom.oracle.com. He has answered thousands of technical questions that sparked the creation of this book and is the author of Expert One-on-One Oracle (Wrox).